A delicious, classic Spanish dish. 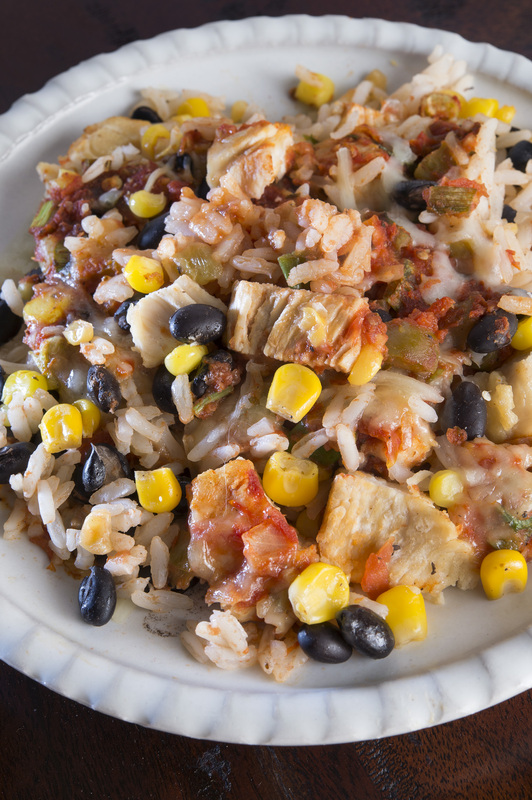 We’ve layered the rice (arroz) and chicken (pollo) with black beans, corn, spices, red sauce, and Monterrey Jack cheese. A wonderful dish for the whole family. Remove cover and bake 15 minutes longer, until casserole is heated through and cheese is melted. *May take additional heating time if casserole was not thoroughly defrosted.